More and more North Carolina auto shoppers are discovering the value of purchasing or leasing a new Kia car, van, or SUV. Sure, Kia is super budget friendly, but it’s much more than that. When you opt for a new Kia Forte, Optima, or Sorento you’re also getting a ton of fun and functional features. Even better, Kia doesn’t charge you an arm and a leg for those features by including them only on the upper trim levels. Another factor to consider is that every new Kia at our dealership near Gastonia and Kings Mountain, NC comes with the legendary 10 year/100,000 mile warranty. It’s among the strongest protection plans in the automotive industry and it comes at no extra charge. 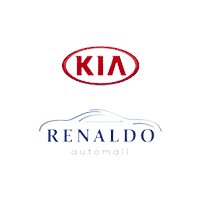 Renaldo Kia also offers incredible purchase and lease specials for our shoppers. That’s right! Kia vehicles are already some of the most affordable vehicles on the market, and we make them even more so with our special offers. We take strong factory incentives and combine them with our deep discounts to make the new Kia you want more affordable than you could ever imagine! The incredible offers aren’t limited to just new vehicles, either. You’ll also find a tremendous selection of pre-owned cars to choose from at Renaldo Kia. That includes Certified Pre-Owned Kia models, as well. If you haven’t considered a certified used vehicle from Kia and have your heart set on a pre-owned model, this is definitely something worth considering. You get practically all the benefits of a new Kia with some significant cost savings. Plus, if cost is the ultra-motivating factor in your vehicle purchase decision, you’ll be pleased to know Renaldo Kia even has used cars priced under $10,000. This is a great option for first time drivers or anyone else that wants to maximize and stretch their dollar to the fullest potential. If you weren’t already aware, the number one factor in increasing the longevity of your vehicle is proper and timely maintenance. That’s why Renaldo Kia offers a comprehensive service center that can handle anything from routine oil and filter changes to more complex engine/transmission repairs. We only use genuine OEM (Original Equipment Manufacturer) parts when performing service or repairs on your vehicle and have money saving specials available on our services. We know that the cost of top-quality maintenance can tend to add up over time, and we want to make sure we make it as easy as possible for you to do business at our service center located at 4425 E Dixon Blvd, Shelby, NC 28152.